Starting in the Gobi desert in winter, adventurer Rob Lilwall sets out on an extraordinary six month journey, walking 3,000 miles across China. Along the way he and cameraman Leon brave the toxic insides of China's longest road tunnel, explore desolate stretches of the Great Wall and endure interrogation by the Chinese police. As they walk on through the heart of China, the exuberant hospitality of cave dwellers, coal miners and desert nomads keeps them going despite sub-zero blizzards and treacherous terrain. 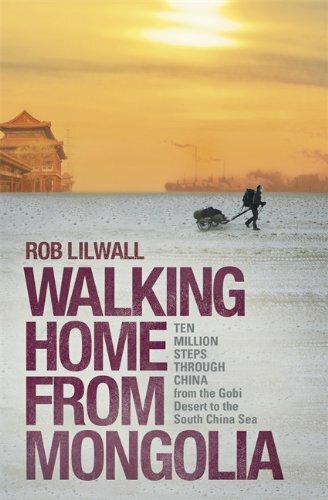 Rob writes with humour and honesty about the hardships of the walk, reflecting on the nature of pilgrimage and the uncertainties of an adventuring career, while also giving insight into life on the road amid the epic landscapes and rapidly industrialising cities of backwater China.